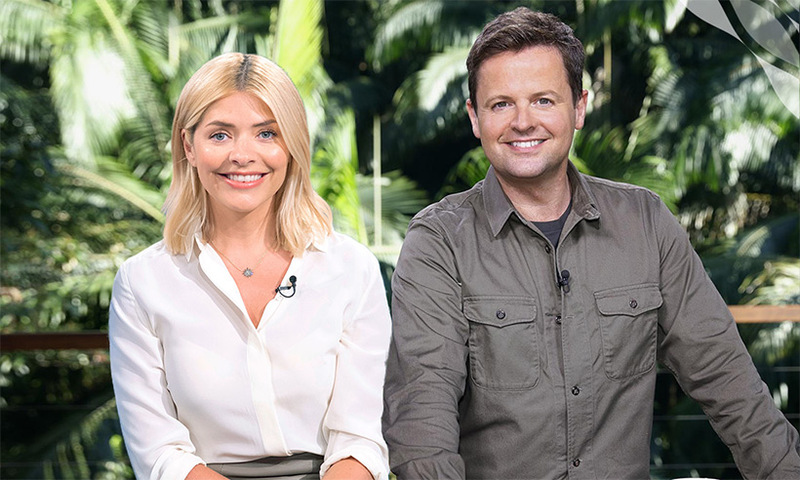 I’m A Celebrity is set to return to our screens this autumn and we can hardly wait. With Holly Willoughby set to be the new co-presenter alongside Declan Donelly, things are going to be shaken up and will certainly be a series to remember. Last year, Made in Chelsea‘s Georgia Toffolo became Queen of the Jungle and she has since gone on to have a hugely successful career in TV. Irish UFC fighter, Conor McGregor has become one of the hot favourites to be joining this year’s line-up. McGregor gained an incredible amount of attention when he was given a suspension from the sport after getting a little too boisterous in a fight against Khabib Nurmagomedov. Rita Simon played the role of feisty Roxy Mitchell in Eastenders but has also starred in ITV’s London’s Burning. Her character was tragically killed off the BBC 1 soap two years ago and we haven’t seen much of Rita since. The Chase‘s Anne Hegerty a.k.a The Governess was once seen as a bit of a standoffish character, but upon appearing on ITV shows such as This Morning and Loose Women, she’s shown a far more human side to her nature and fans love her. ITV bosses have claimed her to be a ‘natural choice’ for the show. If you were a keen viewer of the X Factor back in 2014, you’re bound to remember Fleur East, who came as the runner-up on the show back in 2014. We haven’t seen much of her since therefore ITV bosses are keen to secure her and give her an extra boost to her career. An insider told The Sun: “Fleur was one of the most loved X Factor contestants in recent years, so she is bound to be a hit with ­audiences. Emily Atack is best-known for her role as Charlotte Hinchcliffe in The Inbetweeners. She most recently starred in Dad’s Army alongside Catherine Zeta-Jones and Bill Nighly. Again, we haven’t seen much of Emily in recent years, but she’s no stranger to reality TV after she took part in the 2010 series of Dancing on Ice. Katie Price’s former hubby Kieran Hayler has been rumoured to be joining this year’s line-up. An interesting choice to make one may suggest, as Katie first met Peter Andre here and returned a few years later for a second stint. You’d think he’d want to make a name for himself off his own back without constantly being reminded of Katie, wouldn’t you? Remember Alex’s on-off love interest on this year’s series of Love Island? Well, brunette beauty Alexandra Cane may just be one of this year’s campmates. She has made herself very well-known to producers and claimed that she would be excited to be given the opportunity to appear in the show. In an interview with The Metro, she said: “I know I’m A Celeb don’t like Love Island people but I’m determined! I will go on that show because I love everything they get involved in. Something, where you’re doing challenges or you’re active or you have to rehearse. Catherine plays the role of Eva on Coronation Street, however, when bookies found out she would be leaving the soap soon, they tipped her as a potential campmate for this year’s series. Loose Women star Coleen Nolan may set her sights on the jungle this year after she decided to take a back seat on the panel and dwindle out of the spotlight after a spat with How Clean is Your House star, Kim Woodburn. The two fell out on Celebrity Big Brother last year, therefore Coleen knows exactly what to expect if she were to join another reality show. Brendan Cole has a little bit more free time on his hands after his departure from Strictly Come Dancing last year, therefore we may see him making an appearance in I’m A Celeb. While it may not be to everyone’s taste, it’s certain that Brendan is a competitor and what better way to take on a challenge than in the jungle? Talking to The Daily Star on his life after his dramatic Strictly exit, Brendan said: “Doors come along and you open them and you choose to walk a different path. I have never had from July 31 until Christmas off. I have never been able to take on any other responsibilities, not even the odd corporate job because your time is devoted to Strictly. 35-year-old amateur boxer, Tony Bellew is another star tipped to appear this year. The star also made in his name as a film actor in 2015 in a small role, in the film, Creed which is part of the Rocky Franchise.